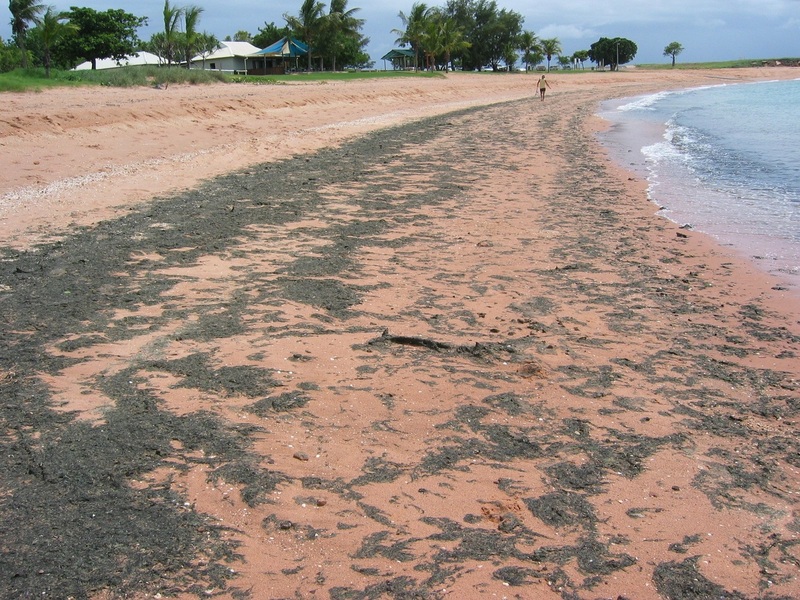 In 2006 a large bloom of blue green Lyngbya occurred in Roebuck Bay, smothering the seagrass meadows, mangroves and large areas of the highly productive mudflats. RBWG together with Yawuru Traditional Owners and DEC responded quickly with community forum, a Lyngbya Contingency Plan and in 2010 a Keep Our Bay Clean project to reduce land based nutrients and sediments from entering Roebuck Bay. High levels of nutrients and sediments in waterways are known for causing Lyngbya blooms, so it is vital that our community takes actions to reduce the pollution going into our drains and seeping through our soils into the aquifer which discharges at the edge of creeks into Roebuck Bay. The first Lyngbya bloom in the bay reported by the RBWG, occurred in the 2005/6 wet season.